Some of the worst Midwest flooding in decades, which has claimed at least three lives, is continuing across the central U.S., from the Dakotas all the way to eastern Illinois. 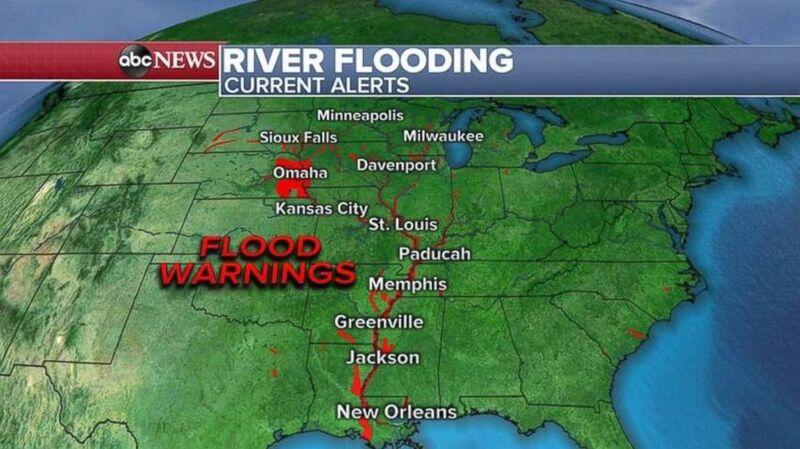 The Missouri River in Nebraska is finally receding, but downstream the river is rising -- especially in St. Joseph, Missouri, and Atchison, Kansas. The flooding there could surpass what the region experienced in 2011, which was the worst since 1993. More rivers in nearby Minnesota, Wisconsin, Illinois and Iowa could produce major, if not record, flooding by the weekend. More flooding warnings have been issued this morning. Two storms are forecast to move through the flood zones over the next week, delivering even more rain. The first system should move through the central U.S. today, with half an inch to an inch possible locally. A second, larger storm system will head from the West Coast to the central part of the country by the end of the weekend. It, too, could deliver more rain in the Midwest, with some spots potentially seeing an additional 2 inches. 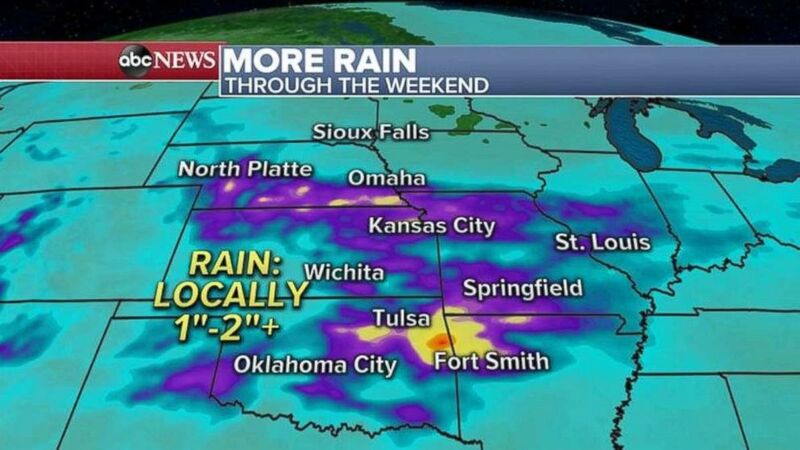 More rain is expected in the already-saturated Midwest.